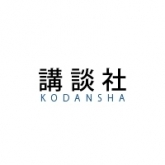 A short description about the company “Kodansha USA Publishing” would help many anime and manga fans learn more about this company. 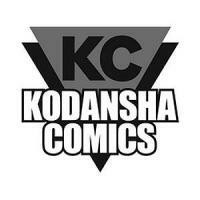 Do you know what “Kodansha USA Publishing” is all about? Then feel free to add a description to our database using our entry form. We’re looking forward to your contributions! Manga, 4/39 (2018)Eden's ZeroKodansha Ltd.
Manga, 2/- (2017)A.I.C.O. IncarnationKodansha Ltd.
Manga, 2/- (2017)Heaven's Design TeamKodansha Ltd.
Manga, 2/10 (2017)Blissful LandKodansha Ltd.
Manga, 2/- (2017)Red Riding Hood's Wolf ApprenticeKodansha Ltd.
Manga, 9/79 (2017)The Quintessential QuintupletsKodansha Ltd.
Manga, 1/5 (2017)Good Dog, Cerberus!Kodansha Ltd.
Manga, 4/4 (2017)Ran the Peerless BeautyKodansha Ltd.